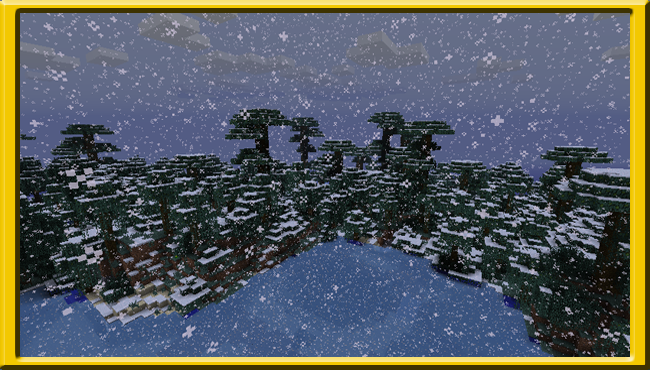 During the months of December and January in real-time, it will now snow in every biome and freeze up the water everywhere. This can of course be turned off in the config if wished to be. 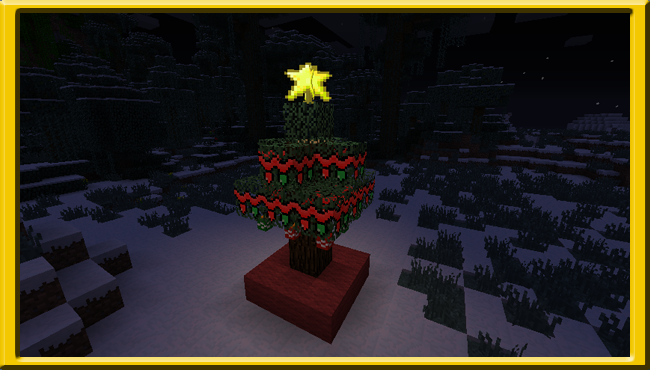 If you construct a tree just like the one above (with the exception of the ornaments can be whatever colors and the wool can also be any color as well), and place the star on top last, lightning will strike down to indicate that you've down it. Now what have you done? You've gained the chance of Santa visiting you with gifts when you go to bed but you must carry in your inventory 1 cup of Hot Chocolate and 1 Christmas Cookie! Also be informed that even if you did complete all of the above, it's a 50% chance that he will stop by. One more note is that if you would like to do it again, just take down the star and put it back to reset the event. 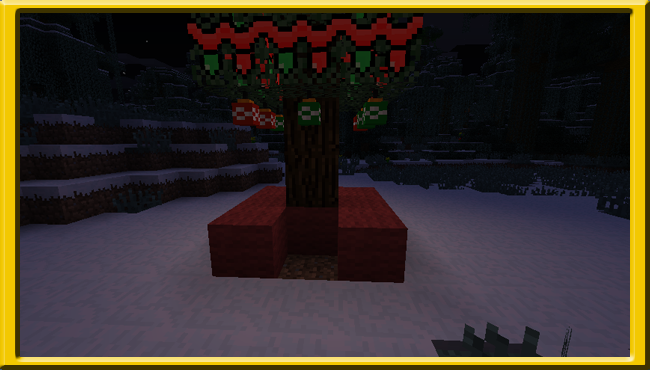 Sometimes these structures will spawn with Christmas Presents inside! 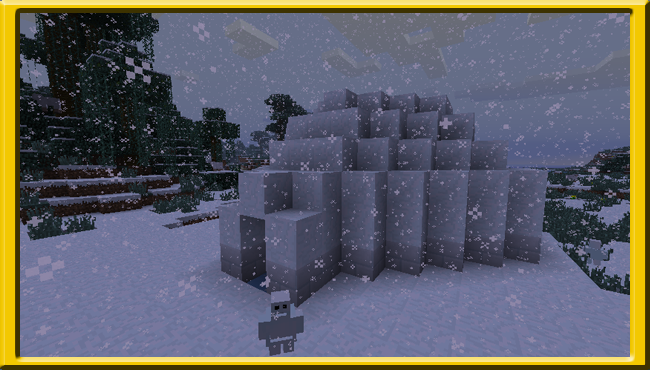 But be warned the deadly Mini Snow Golem also inhabits the igloo and they are not welcome to people coming into their home.